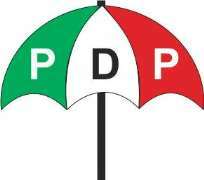 The Peoples Democratic Party (PDP) in Kano has rejected the results of Saturday’s supplementary election. Governor Umar Ganduje of the All Progressives Congress, APC, emerged winner of the controversial Kano State governorship election. But, speaking to newsmen after the collation, acting chairman of the party Alhaji Rabi’u Sulaiman Bichi said “the results were doctored as there was no election on Saturday. Also speaking, member representing Dala federal constituency Honourable Ali Madakin Gini observed that the affected Gama Ward in Nasarawa local government witnessed violence. He also alleged that thugs denied PDP members their right to vote.